In 2013, The Masters is added to the tournament calendar, at the moment it’s the last Major TV tournament the PDC has added. Only the world’s top 16 players can participate in this invitational tournament. Thus the tournament in structure is very similar to the MFI World Matchplay, which was held in the 80s. Edinburgh in Scotland is the place where the first two years were played. In 2015, the tournament moved to Milton Keynes in England. After Phil Taylor won the first edition James Wade wins the second after a rollercoaster final. Opponent Mervyn King goes far ahead, 9-2 and 10-6, but misses a total of eight match darts and gives the lead and the title away. 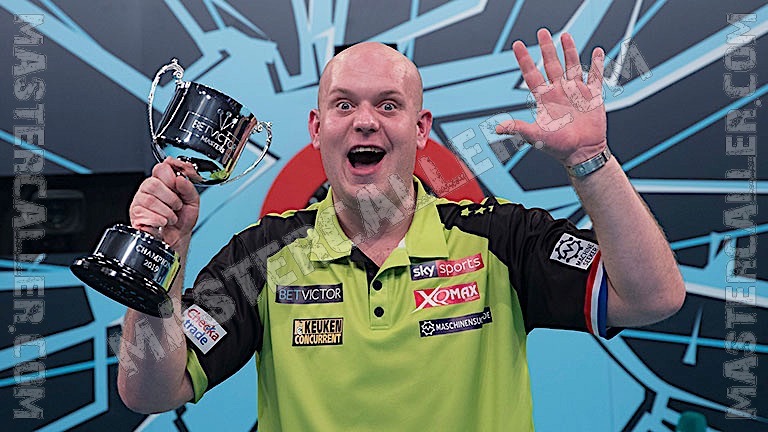 From 2015 Michael van Gerwen dominates with five victories in a row.